Welcome to another installment of our “Trail Town” series. Every month we will feature an article about a trail running city that you should put on your bucket list of places to visit! This month we feature the city of Portersville, Pennsylvania. This article was written by Jenni Hulburt, MS. Jenni is a Portersville resident, and the founder of WILD Wellness www.jennihulburt.com. Portersville, Pennsylvania (Population of 235 according to the U.S. Census 2010) is a small borough north of Pittsburgh. In 1955, Interstate 79 was built just east of town, providing easy transportation in and out of area. The town is less than one square mile, but full of several quaint shops and outdoor activities, including the two main attractions to the region – Moraine State Park and McConnells Mill State Park. Portersville is a stop for outdoor enthusiasts headed to these popular recreational areas. Moraine State Park is 16,725 acres, making it one of the largest parks in western Pennsylvania. More than one million outdoor enthusiasts travel to the beautiful park and lake each year. In 1958, Muddy Creek was damned to create the 3,200-acre lake as part of the state park. McConnells Mill State Park encompasses 2,546 acres of the majestic Slippery Rock Creek Gorge – a national natural landmark. The gorge was created by the draining of glacial lakes thousands of years ago, and has steep sides with a valley of massive boulders. Portersville is a 40 minute drive from Pittsburgh, PA and only 50 minutes from Pittsburgh International Airport, making it a popular destination for western Pennsylvania and northeast Ohio trail runners to explore the miles of trails through the forests, gorges and waterfalls, grassy areas, lake edges, and wetlands. Moraine State Park includes 71 miles of trails and 42 miles of lake shoreline. Runners can explore forests and grassy areas, lake edges, and wetlands. The popular Glacier Ridge Trail, a section of the 4600 mile North Country National Scenic Trail, is a rolling route over the creeks and hilltops of Moraine State Park, where you’ll catch views of Lake Arthur. The Sunken Garden Trail, located along the south shore of Moraine State Park, passes through wetlands and lake edge trails, eventually turning into the woods. Sections of the trail are muddy, and you may spot turtles soaking in the sunshine near the lake, red-winged blackbirds and wood ducks, or even osprey and bald eagle. The trail can be combined with the Pleasant Valley Trail and the Hill Top Trail. Nearby McConnells Mill State Park is open from sunrise to sunset, year-round. The natural geology of the area makes for a rugged traverse of the gorge, with waterfalls and the whitewater creek. The glacial-carved Slippery Rock Gorge Trail at McConnells Mill is part of the North Country National Scenic Trail. With waterfalls and creek crossings, this route makes for a perfect run in the summer. The steep and rugged terrain is challenging, but includes extraordinary views along the Slippery Rock Gorge. The 6.2 mile trail begins jointly with Hells Hollow Trail, and follows the Slippery Rock Creek Gorge north towards McConnells Mill grist mill area and covered bridge. Several of the trails in the state parks have designated free parking areas, such as Hells Hollow Trailhead or McConnells Mill State Park Kildoo Picnic Area for access to the Slippery Rock Gorge Trail, and the North Shore Bike Rental Concession parking lot for access to the Glacier Ridge Trail. As a popular recreational area, Portersville is a well-known spot for outdoor adventures. Jennings Environmental Center offers environmental education to the community, to increase knowledge and awareness of the beauty and importance of our natural resources. Trail runners who enjoy the outdoors can learn the skills needed to be good stewards of Pennsylvania’s natural environment. Organized by the Butler County Outdoor Club and Butler Chapter of the North Country Trail Association, Jennings Environmental Center hosts the annual Cherry Pie hike (or run!) on the North Country Trail in commemoration of George Washington’s birthday, with free cherry pie for all who attend. 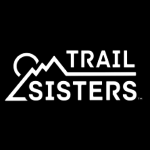 The WILD Trail Running Club is an all-women’s trail running group that meets weekly and welcome runners of all abilities. Co-founded by Jenni Hulburt and Clarissa McMahan, the group organizes runs year-round, and currently meets to run on Saturday mornings at various trailheads in Moraine State Park or McConnells Mill State Park. From snowy runs that end with hot chai tea at the trailhead or a warm cup o’ joe at a local coffee shop, to humid summer runs that include cooling off in the lake or in a waterfall, Saturday morning runs are the place to meet local women who run, and get a boost of motivation! Portersville has a small-town vibe with a heart for local community. Despite the rural setting and small size of the town, many outdoor enthusiasts and trail runners from the surrounding areas come here to enjoy the scenic trails. In addition, local shops and events attract thousands of people from the surrounding areas each year. Trail explorers will enjoy one-of-a-kind shops like the Cider Haus Farm Market, for locally grown produce, goods, and local crafts, and Nicolette’s Specialty Shop & Gifts, which features many unique items like local honey and artwork, as well as state park souvenirs. If you’re staying overnight, campgrounds like Bear Run Campground, bordering beautiful Moraine State Park, and Breakneck Campground, which is nestled among pines and open areas near McConnells Mill State Park are just another way to enjoy the outdoors when you come to run the local trails. An event like the annual Winterfest at Moraine State Park, on behalf of the Moraine Preservation Fund, is a cure for cabin fever in the winter – with a snowshoe workshop, 5K run, a chili cook-off and many other activities, it’s a great way to come explore the trails in the winter. National Grind Coffee Shop in nearby Ellwood City, PA serves locally roasted coffee and offers house made items such as almond milk, chai, and hummus. Wunderbar Coffee & Crepes in nearby Harmony, PA features Italian inspired coffees, French crepes, and American grilled cheese sandwiches in a historic German town. Locally owned and operated, Wunderbar is an ideal place to meet new people, or visit with friends after a run. Butler Brew Works just 15 minutes from Moraine State Park, brings adventurous ales like La Noche Triste, a milk stout with coffee, and Amelia, a strawberry blond ale. The North Country Brewing Company in nearby Slippery Rock, PA, is just minutes from the trails of Moraine State Park. This eatery, brewery, and community center has a strong connection to local outdoor recreation. The Log Cabin Inn is nestled in the woods on Route 19, and was built around a historic cabin dating back to the early 1800’s. The restaurant is an intimate, casual atmosphere complete with colonial décor. Grab a seat on the great outdoor deck overlooking the woods and you might spot a deer wandering through the trees. The Harmony Inn, located in the heart of Harmony’s National Historic District, offers a public tavern and unique dining experience, featuring local food and an extensive selection of Pennsylvania brews. Local running store, MOJO Running and Multisport of Pittsburgh is nearby in Seven Fields, PA. The Pennsylvania Department of Conservation and Natural Resources has maps and up-to-date information regarding the local parks and trails. Other local websites like Butler County Tourism and Convention Bureau and www.visitpa.com are helpful sources for local maps, events, and other activities related to running in the area. The Butler Chapter of the North Country Trail Association is dedicated to providing extraordinary trails to all. The Butler Chapter, along with the Butler Outdoor Club were central in establishing the organization and construction of the North Country Trail (NCT) in Pennsylvania. Dedicated volunteers enjoy providing a premium trail for runners and hikers. 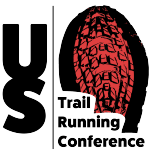 The Glacier Ridge Ultra (GRT) offers four events to provide participants a choice of distances to match their experience, early-season fitness, and season-long goals – the 30K Trail Run, the 50K and 50 Mile ultramarathons and the 50-Mile 5-person relay. Except for a short stretch at the start and near the end, the 30K and 50K events are entirely on an exceptional single-track trail. 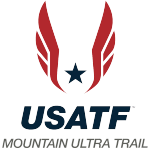 In addition to the single-track, the 50 Mile course also includes a section of hilly, double-track on fire roads through beautiful hardwood forests.